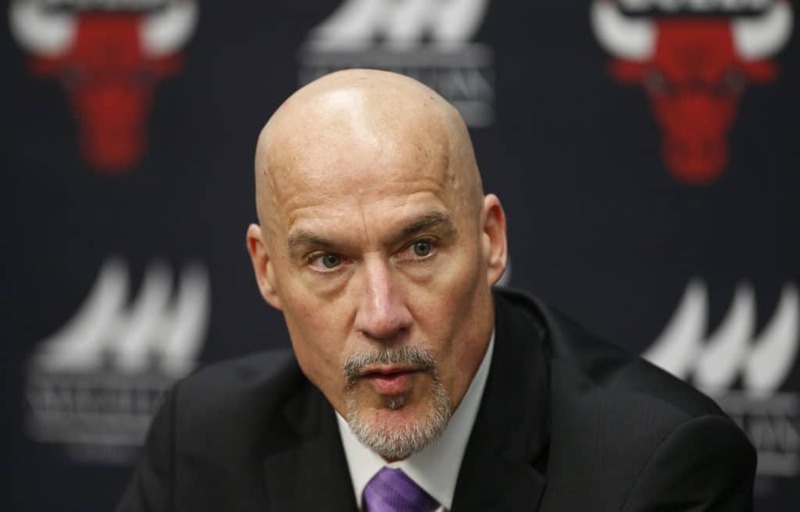 It would not be a John Paxson press conference on the limitless crap that is the bull-on-court product if a reporter does not ask if Gar Forman would be fired soon. "Gar is absolutely sure, Paxson said Monday. Whew. I'm glad that's clear. As for Fred Hoiberg? Yes, he does not work here anymore. If you can not fire the players and the fans can not fire the owners and the owners do not fire the front office, fire the coach. It's a simple math. Paxson met with the local media on Monday to talk about Hoiberg's shot after a 5:19 start and a submissive 270-game tenure as the Bulls' head coach and promotion of Jim Boylen, apparently the entire season, but also the next season to change the culture of a team of which he was the best assistant for more than three seasons.